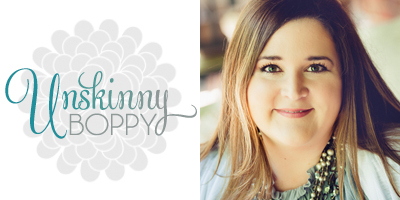 Unskinny Boppy is a home, garden, DIY and interior design blog that features a considerable amount of do-it-yourself home projects that appeals to the weekend warrior audience. Also included in the content are travel tips, party decorating ideas, holiday decor, gardening ideas, photography tricks and anecdotes from motherhood. Readership began to skyrocket after this tutorial on taking a glowing Christmas tree photo went viral on Pinterest in November of 2011. The next few years would see the rise of online visual influencers, and Beth has stayed at the top of her niche. 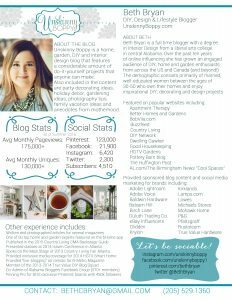 The blog demographic consists primarily of well-educated American and Canadian women between the ages of 30-65 years of age who own their own homes and enjoy decorating and design projects. Most are married with children under 18 years of age. Find all the magazines that have published Beth’s photos and articles here. Featured on AL.com/The Birmingham News “Cool Spaces” series in September 2014. Click here to view a listing of sponsored blog content. You can find Beth on facebook, follow her on Twitter @bethbryan and see more of her favorite things on her addictive Pinterest boards. She is also on LinkedIn, Google+ and Instagram. If you have any questions or would like pricing information regarding sponsored posts or giveaways, please feel free to send an email.